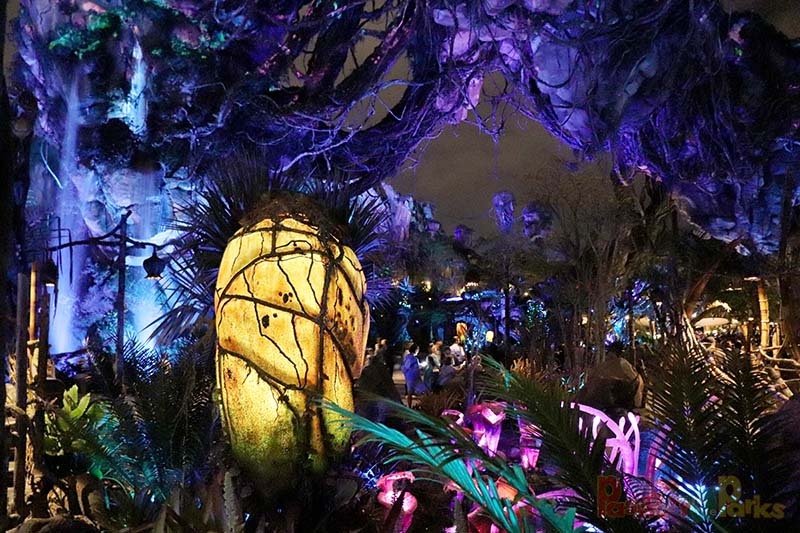 When you enter the World of Pandora at Disney’s Animal Kingdom, you are literally entering into another wold. Everything is so breathtaking, it almost leaves you speechless. 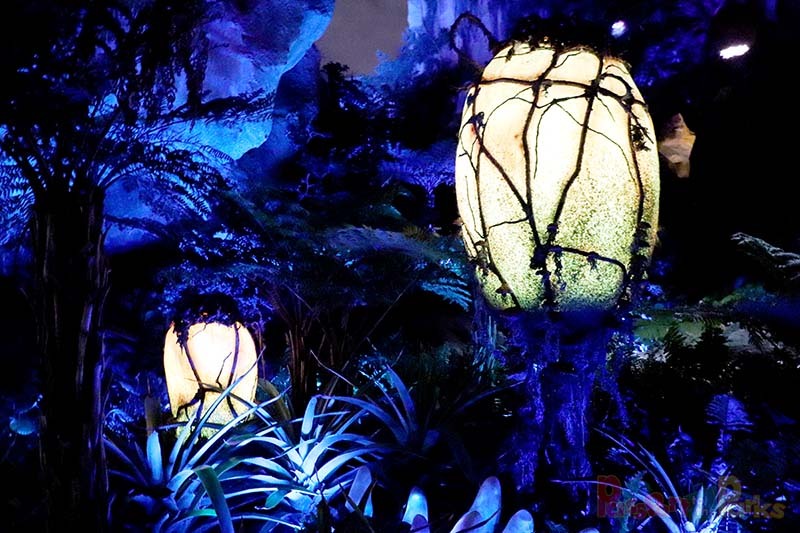 The World of Avatar is an amazing place to visit during the day, but as the sun sets and nighttime falls, Pandora comes to life. Everything around you begins to illuminate and glow. 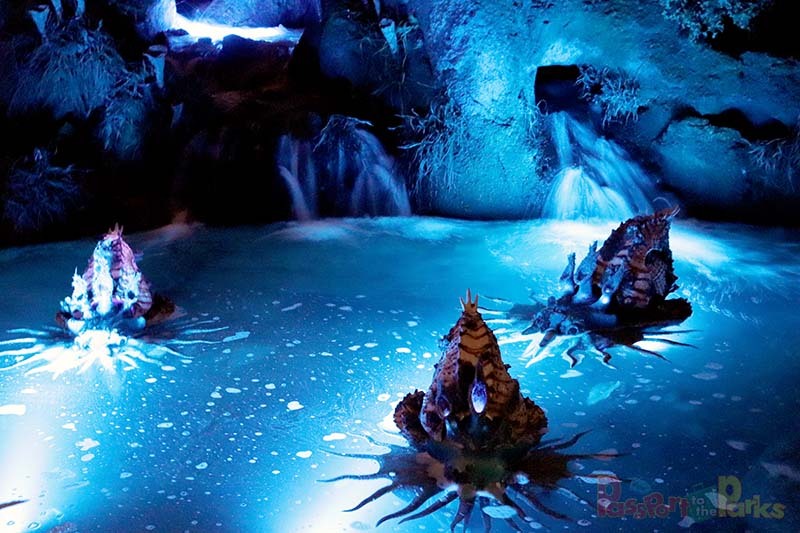 Flowers become luminescent and the crystal clear water turns to electric blue. 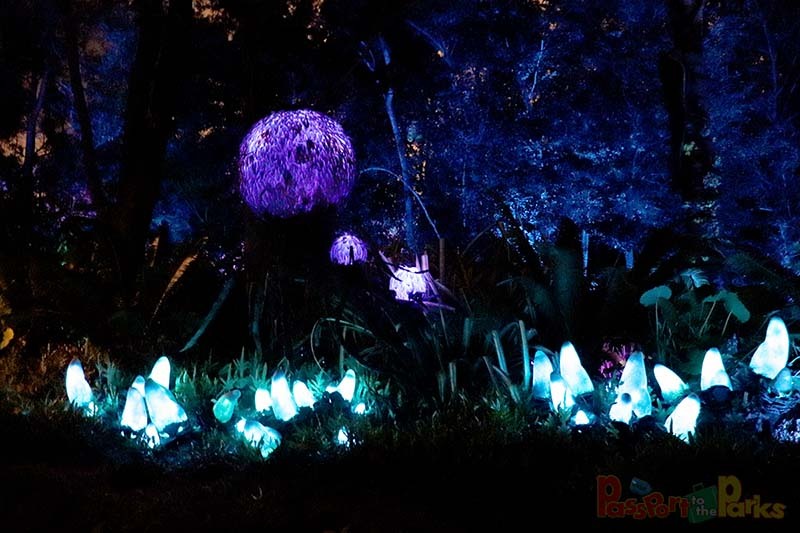 The floating mountains light up against the night sky and the woods begin to twinkle with dancing lights. The sounds and smells of nature surround you and intensify around every corner. It leaves you wondering what is out there. Pandora is alive in every sense of the word. The nighttime magic must be experienced and felt. Hopefully I can bring some of this world to life in pictures and video for you to enjoy! See the full NIGHT PHOTO TOUR here! 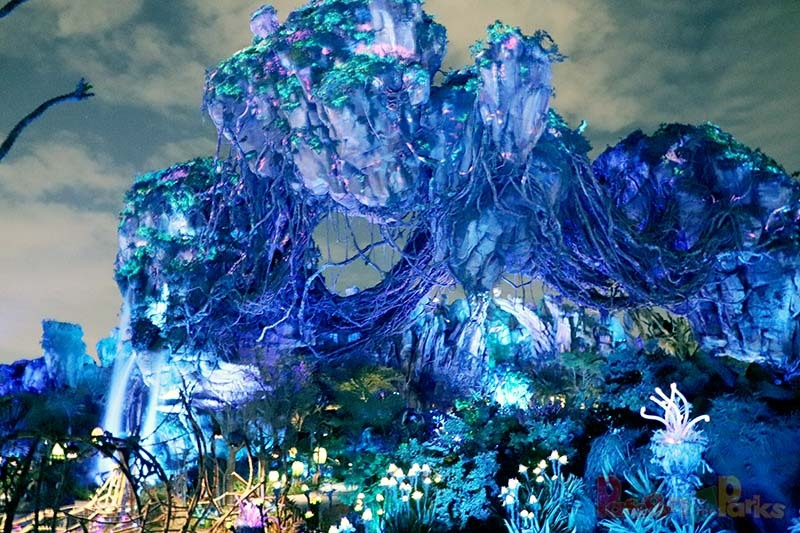 Make you you check out “How to Adopt a Banshee in Pandora“. They are so much fun! 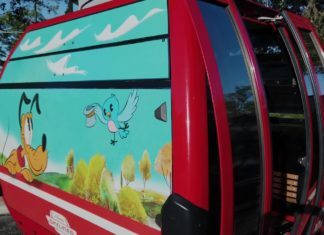 Make sure to follow PASSPORT TO THE PARKS for more incredible adventures!